secret behind her perfect skin. I get to try a lot of skincare products, and Augustinus Bader has made the most radical difference in my complexion. Nothing else comes close. My skin literally craves it. Exactly one year ago, I met the man behind this incredible formula while on a job at Four Seasons. But before we sat down together and he revealed the product that would forever change my skin, two of my close friends were already raving about Professor Augustinus Bader, the work he’s doing around stem cell science, and the coveted cream he created. On that fateful day, Ellen Maguire from Karla Otto introduced me to Professor Bader. He gave me his cream and instructed me to use it for a full 28 days. Usually I don’t stick to one product; I like to bounce around because there are so many incredible options. But I decided to give it a go. Twenty-eight days later—using only Augustinus Bader; no serums or other products—I was blown away. Some of my pigmentation had faded and the texture of my skin was transformed. The best way to describe it is that my face had this plump bounciness that I hadn’t seen in quite a while. I was hooked. Both the Cream and the Rich Cream have become an integral part of my makeup kit. It’s a perfect weight and really compatible as a first step for makeup. 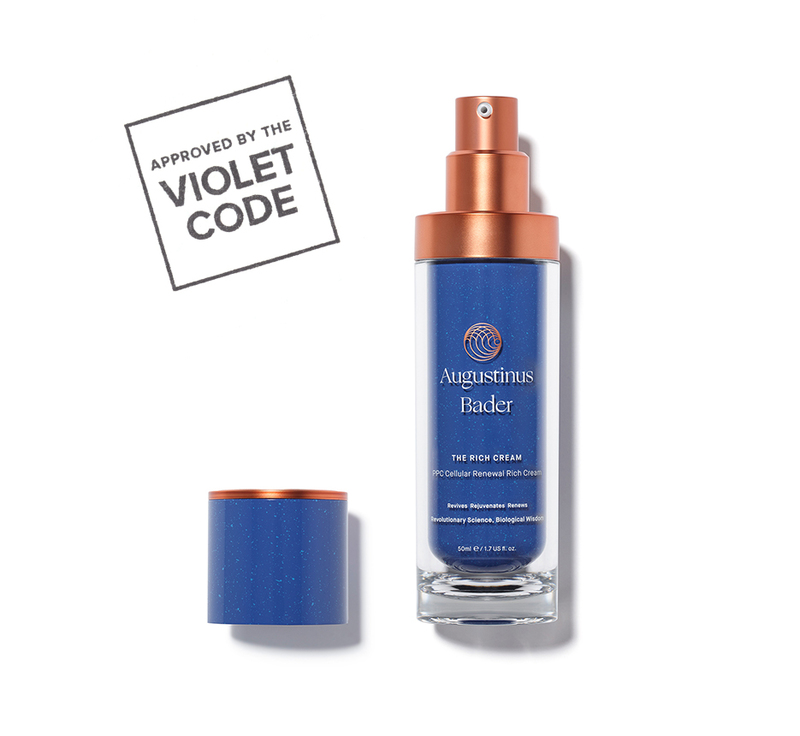 As a makeup artist, I’m prone to using other products, but I always go back to Augustinus Bader. Professor Augustinus Bader is a globally renowned expert in the field of regenerative science. He holds more than 200 patents and has published over 180 peer-reviewed papers. In 2007, he developed a hydrogel that eliminated the need for skin grafts in some burn patients. Shortly afterward, he found that his discoveries for wound healing and stem cell activation also had applications for the aging process. And thus inspired the development of the Augustinus Bader brand. The Rich Cream contains a complex of 40 different molecules, amino acids, and vitamins, all of which are found naturally in the body. The ingredients activate your own stem cells and boost them into healing mode, thereby targeting areas affected by wrinkles, hyperpigmentation, loss of collagen and elastin, and other environmental aggressors. After use, skin looks instantly plumper, smoother, and more hydrated. Even better: Long-term use reduces wrinkles, fine lines, age spots, uneven tone, and redness. Use on clean, dry skin both morning and night. Warm two pumps between your fingertips and apply in an upward sweeping motion over the face, neck, and décolletage. The cream is also an excellent healer. Recently I was in South America. My skin is very compatible with the sun, and I never burn. But on my first day, just walking around, I got burned and on Day 10 I learned that there is a serious hole over Argentina and Uruguay where I was traveling. Of course I had my Augustinus Bader with me, and I used it on the burned skin on my chest and arms. As a result, I didn’t go through the nasty phases of a sunburn. It could have blistered, it could have bubbled, it could have peeled—but it didn’t. The skin felt calmer and I was able to go back into the sun the next day—wearing a ton of sunscreen, of course.